Now that we have the 1st of January out of the way, it is understandable that people are now looking forward to taking on what 2015 has to throw at them. 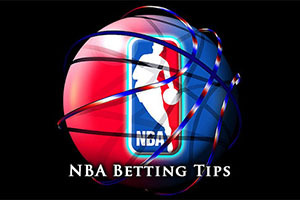 If you are looking to get involved with some great basketball betting action this year, you don’t have to wait as the NBA is serving up some brilliant action on Friday. There may only have been two games on Thursday, but this should have whetted your appetite with respect to what is to come in the year ahead. The Bulls welcomed in 2015 in great style, winning at home against the Denver Nuggets. This may not be the most challenging game that the Bulls have to take on this year but it could be an important win and their 106-101 win was well celebrated in Chicago. The Sacramento Kings were ungracious guests in Minnesota on the 1st of January as they managed to grab a victory. Any hopes that the Timberwolves had of starting the New Year in excellent style were dismantled by the Kings grabbing a 107-110 win. The Nets hold a 15-16 record, which includes a 7-8 record. This means that you can feel like tossing a coin in the air to determine if the Nets will win or lose, and the odds on offer from the bookmakers is not far off of that suggestion! The Magic are doing slightly poorer than the Nets, holding a 13-22 record which includes a 4-10 record in Orlando. The Magics lost their last game while the Nets have won two in a row. The Nets have a 4-1 record in their last five games while the Magic can boast of a 3-2 record in the same period. The Nets had a brilliant win in Chicago on Tuesday, winning 82-96. Brook Lopez managed to grab 29 points, a season high for the player, and Joe Johnson added 20 points but most fans were greatly impressed with a high level of defensive performance against a Bulls side that had won 7 games in a row coming into that match. The Magic started a three game run at home on Tuesday, hoping to grab a three game winning streak but a 86-109 loss to the Pistons put paid to those hopes. There are no notable injury concerns for both teams and taking the Nets with a -1 handicap, at odds of 1.90, is likely to be a sensible way for you to start your New Year off in great style. Bet Now! The Mavericks have performed well so far in this campaign, holding a 23-10 record, which includes a 10-5 record away from home. Things haven’t gone so well for the Celtics, who hold an 11-18 record, which includes an 8-9 record away from home. The Celtics are at least coming into this game on the back of a win while the Mavericks have won their last 3 games. The Dallas team are 3-2 in their last five games while the Celtics hold a poor 1-4 record. This game of course has a different focus to it though as it will be the first time Rajon Rondo returns to Boston with his new team. Rondo believes he will get a good reception in his return to his former home but if he puts in the sort of performance that Celtics fans loved to see, the reception may not be as warm at the end of the match. The Mavericks don’t have too many injury worries, only Monta Ellis and Tyson Chandler are being monitored on a daily basis while the Celtics have a big concern over Marcus Thornton while Jared Sullinger is being monitored on a regular basis. It is likely that the Mavericks will have more than enough to take care of this game in Boston and taking them with a -5.5 handicap, at odds of 1.90, should be more than enough to get you moving in the right direction with basketball betting this year. Bet Now! This is a game between two teams that have badly underperformed this season. The Pistons hold an 8-23 record, which includes a 5-10 record away from Detroit. This is clearly a bad record but they won’t feel so badly about themselves when they look at the Knicks. The Knicks have won as many games in total as the Pistons have won away, and the 5-29 record, which includes a 3-13 record at home, is far from impressive. However, the Pistons are currently experiencing a revival and can boast of a three game winning streak. When you think that this means that they have won more than a third of their games this season in their last three matches, things are clearly going okay at the moment for the Pistons. They hold a 3-2 record in their last five games while the Knicks have managed to lose their last nine games. Jodie Meeks was a big player for the Pistons on Tuesday, grabbing 34 points from the bench in their 86-109 win in Orlando. The Knicks are still hoping for Carmelo Anthony to regain full fitness and again, his inability to dominate the game was a factor in the Wednesday loss in Los Angeles to the Clippers, the Knicks being downed by a score of 99-78. The Pistons don’t have any real injury worries to concern themselves with but the Knicks have a number of concerns. Samuel Dalembert and Carmelo Anthony are being monitored but players like JR Smith, Amar’e Stoudemire, Andrea Bargnani and Cleanthony Early are all causing some concern for the Knicks. With this in mind, taking the Pistons with a handicap of -2.5 and at odds of 1.90 would appear to be a very sensible bet for Friday. Bet Now!